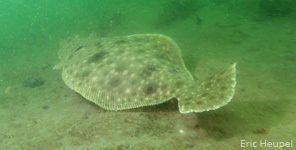 To date, only a few fish species from New England have been studied to determine how they are affected by ocean and coastal acidification (OCA). A laboratory study found that fewer embryos survived when they were exposed to increased levels of carbon dioxide (Chambers et al. 2014). For larvae, rates of growth and development changed, but survival was unaffected. Atlantic cod has been examined for OCA effects more extensively than any other North Atlantic fish species, but the studies have used fish sourced from Europe, not the northeastern United States. In a laboratory study of cod from the Baltic Sea, where calcium carbonate levels (Ωar) tend to be relatively low, researchers found no or very modest effects of acidification on sperm, embryos, and young larvae (Frommel et al. 2010, Frommel et al. 2013). However, in studies with cod from the Norwegian coast, researchers found a variety of negative effects on older larvae (Frommel et al. 2012, Maneja et al. 2013a, Maneja et al. 2013b). 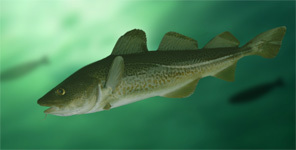 The research indicates that effects of OCA on cod may depend on population source, duration of exposure, and life stage. A laboratory study of young Atlantic silverside suggests that effects of OCA vary depending on the conditions in which the parents were living (Murray et al. 2014). Offspring obtained from adults collected early in the spring spawning season, when CO2 levels were relatively low, had reduced survival and growth when exposed to elevated CO2 levels. In contrast, offspring from adults collected later in the spring, when seasonal levels of CO2 were higher, were less susceptible to the same experimental laboratory CO2 conditions. 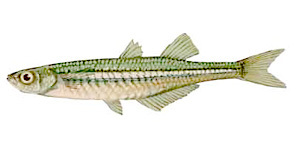 Exposure to high levels of CO2 often does not kill fish but has sublethal effects. Sublethal should not be misinterpreted as insignificant. Often, sublethal effects have longer-term consequences for population health through a cascade of indirect ecological effects. Furthermore, as the above examples of cod and Atlantic silverside show, fish that currently live in habitats of naturally low and variable Ωar may be more tolerant of future OCA. This highlights the need for a more comprehensive ocean observing system to better characterize and monitor carbonate chemistry in the Northeast region.